The library of auction catalogues and fixed price lists is maintained as a research tool. Its scope is universal, covering all areas and periods, and including sales not only of coins but of other numismatic materials: paper money, tokens, medals, decorations, weights and balances. Some individual non-numismatic (e.g. archaeological) sales are included when the main series is numismatic, but this variation is not consistent. This online list will be updated at the beginning of each month. It shows which catalogues can be consulted in the Department, and also indicates which catalogues we do not now have. We would be very interested in hearing from anyone who has catalogues not on this list, which might be available for sale or exchange -- we have duplicate catalogues which we would be prepared to exchange in return. In general, the catalogues and lists are listed alphabetically by dealer, otherwise by firm when a single dealer's name is not given or is not obvious. Thus, NUMISMATICA PLIEGO (personal name) is under PLIEGO; whereas NUMISMATICA SABADELL (place name) is under NUMISMATICA. Usage throughout is not entirely consistent, but ample cross-reference should lead the reader to the correct entry. Compound names (e.g. van Alsenoy) are entered following Anglo- American Cataloguing Rules (2nd ed., The Library Association, London 1978), and are usually cross-referenced. For France, and occasionally elsewhere, the catalogues are listed by expert, not by commisseur (auctioneer). In general, when the cover or title page lists more than one dealer, the one first mentioned is taken as the entry, with cross-reference to and from the other(s). The dealer's address is given (1) by town, and sometimes county, if British; (2) by town and state (e.g. CA, NY) if located in the USA; otherwise (3) by city and country, save that capital cities (e.g. Berlin, Paris) are given by city only. The dates of auction catalogues and fixed price lists are usually evident. Only the opening date of an auction sale is normally given, but expanded when necessary to avoid confusion. Dates given in square brackets  are deduced from the run of the series, or from outside information such as postmarks. Where the day and month are given, but not the year -- as happens particularly in the areas of Italy and Spain -- the date can often be found in the printer's information or the (annual) date of legal deposit. Where an undated or unnumbered catalogue or list cannot be easily identified, the total number of lots is indicated by (e.g.) "/703". Mail Bid sales, and Buy or Bid sales, are included under auctions, and listed in series with public auctions except when separate series are clearly indicated. "Complete 1-12" indicates that, as far as we are aware, this is the total of the series, and it is held as complete in this department. "Have 3-12" is a convenience for quick checking, and indicates that this much of a series, and possibly other, unnumbered, issues too are held in the department. The Henderson collection of 18th and (mostly) 19th century catalogues consists of bound volumes, shelved separately. In addition a few more recent catalogues have been bound together, often mixing several dealers, and most of them too are shelved separately. All of the bound volumes shelved separately are numbered, and referenced as "<bv123>", etc. A few catalogues have been given individual shelf numbers and are shelved in the departmental library proper. A few which are in series but without numismatic material are housed in the Dept. of Antiquities of the Museum [Ant.] or in the Reading Room [RR]. American Numismatic Society, Auction Catalogue (i.e. holdings of the ANS) , ordered by US dealer / US consignor / foreign dealer / foreign consignor / fixed price lists (1962). Plus three supplements which do not include fixed price lists, 1967, 1973, 1978. Bibliothèque royale de Belgique, Brussels, Catalogue de ventes – Listes (current in-house list). Künker 102, 23 June 2005, sale of the Münzen und Medaillen (Basle) library, incl. auction catalogues. Spring, John, Ancient Coin Auction Catalogues, 1880-1980 (London, 2009). Varesi 45, 20 April 2005, sale of the Rossi library of auction catalogues. Denmark and Norway: Morten E. Mortensen, Afkrydsningsliste over dansk-norske off. møntauktionskataloger, 1684-1998 (1999). Germany: Karl Lubeseder, unpublished manuscript, major German and German-language dealers, 1871-1995; Tietjen 20, 10 November 1976, major 19th - 10th century dealers. Great Britain: Harrington E. Manville & Terence J. Robertson, British Numismatic Auction Catalogues, 1710-1984 (1986). United States: E.J. Attinelli, Numisgraphics, or a list of catalogues…(1876). Reprinted as A Bibliography of American numismatic auction catalogues, 1828-1875 (1976). Martin Gengerke, American Numismatic Auctions, [19th century - late 1990] (8th ed., 1990). Very thorough. John Adams, United States Numismatic Literature, 1: Nineteenth century auction catalogs (1982); United States Numismatic Literature, 2: Twentieth century auction catalogs (1990). Limited to major dealers, with historical texts and evaluations of the quality of each auction. Moulton, Karl, United States. 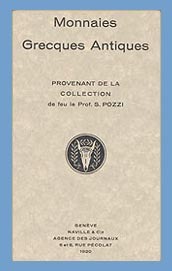 Numismatic Auction Catalogues. 1990-2000 (revised ed., 2003). Continues Gengerke, but limited to major dealers. Remy Bourne, A Survey of American Numismatic Sales and Informational Literature … 1910- to date (1989). A pot-pourri of photocopies of dealers’ announcements and selected price lists, together with the author’s own charts of dealers’ price lists. The charts vary in completeness (and usefulness) from full, to scattered, to virtually nothing, but such data as are gathered here can hardly be found anywhere else. Bourgey [1897-1987, but omitting some minor sales], in Sabine Bourgey & Georges Depeyrot, Collections Numismatiques. La République Romaine (Fonds Bourgey) (1988). Egger, partial list printed in their later catalogues. Lanz Graz / Kastner / Lanz Munich [1972-1991], a list published separately by Lanz Munich (1991). Hess > Peus [1871-1980], in Peus 300, 28/30 October 1980. Ratto, R. [1926-1939, both auctions and fixed price lists], printed in the price lists ( -1939). Schulman, J. [1880-1980], in the firm’s 100 Jaar Numismatiek (1980). Sotheby [1800-1980], an unpublished typescript list held in this Department. Tietjen [1969- ], an up-to-date running list at the end of each auction catalogue.